Philosopher and scientist Aristotle famously said, “The whole is greater than the sum of its parts.” That wisdom from 2,500 years ago is guiding a new look at admissions to veterinary colleges. A selection committee of the Association of American Veterinary Medical Colleges (AAVMC) has chosen MU’s College of Veterinary Medicine (CVM), along with the University of Florida CVM and North Carolina State University CVM, to participate in a pilot program designed to help veterinary colleges and schools develop holistic admissions programs. Holistic admissions is a developing program to foster greater diversity and inclusion among incoming students, with the net effect of enriching the profession with practitioners who better represent the clients they serve. “The AAVMC pilot program will offer us expertise at the national level,” says Linda Berent, CVM associate dean of academic affairs. “They’ll give us the tools we need and the education we need to really look at what we’re doing in admissions — what we need to keep because it’s good and what we need to alter because it may not be as effective as we need it to be. In addition to the external expertise offered by the AAVMC, the CVM’s Admissions Committee will guide the internal portion of the program. “This is going to be a year-long process where I’m working with the Admissions Committee as the key faculty,” Berent says. “It is our senior leadership for admissions and curriculum: Associate Dean for Student Affairs Angela Tennison; Kathy Seay, our admissions manager; Tamara Hancock, coordinator of curriculum and student outcomes; and Dean Carolyn Henry is obviously going to be involved. Veterinary medicine’s struggles with diversity and inclusion are well-documented. 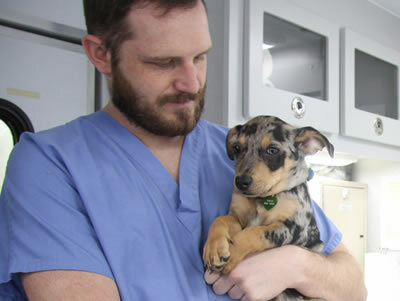 According to the AAVMC, 97.3 percent of veterinarians in the workforce in 2013 were white. Accordingly, increasing the presence of under-represented students in the college’s applicant pool is a priority of the CVM’s holistic admissions program. “To be clear, under-represented students include characteristics that transcend racial distinctions,” Berent says. “They can also be low socio-economic status. Men tend to be under-represented in our pool. Rural communities tend to be under-represented in our pool right now. Part of our initiative is to bring more rural kids into our Ag Scholars Program. Berent says first-generation college students are another constituency historically under-represented in professional schools. Humans are multi-dimensional beings, so a holistic process would be an integrated approach that considers all aspects of an individual’s life and work. “Academics are already only 40 percent of our admissions equation,” Berent says. “But, we’re being encouraged to look at who and what we want, and how we go about quantifying that. They (the AAVMC) asked, ‘Why did you set your minimum GPA as 3.0?’ I could only answer that it’s always been that. It raises the question of whether GPA is related to ‘smarts’? Do we need to use the Graduate Records Examination (GRE)? Right now, we use the GRE to a very small extent, because we always have. Some schools are dropping the GRE because standardized tests can be biased and don’t necessarily predict success. So, we’re looking at all of those things to make sure we’re not doing something unintentional that detracts from the success of our target populations. “We tend to put a lot of emphasis on — and can be easily blown away by — those students with the awesome resumes, who have done this internship, traveled abroad and obtained all this varied experience,” Berent relates. “But, to get all of those experiences, that student held unpaid positions. That student has never worked. Should we prefer students who don’t have to work for a living? That phenomenon has also led to an almost binomial distribution in our debt load, too. There are some students with very little debt, because they come from a background where they can pay for their school, and others with an enormous amount of debt. That has bothered me for a while.